Dupont Dollars is Fort Dupont Ice Arena’s Rewards Program for our Kids On Ice® students. 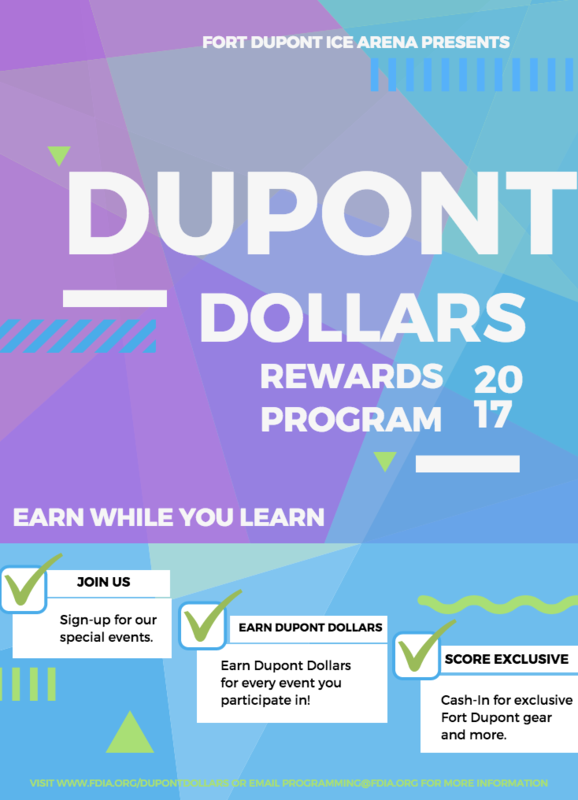 For every event and activity they participate in, they’ll earn Dupont Dollars that can be used towards exclusive Fort Dupont gear and other fun items. The first step to earning Dupont Dollars is to have your parent and/or guardian sign a permission form. From there, students can sign-up for our special events and pick-up our take-home activities. For every event and activity you participate in, you’ll earn Dupont Dollars. You’ll want to save up those Dupont Dollars so you can use it in the next step! Once you’ve earned and saved up your Dupont Dollars, students can use them towards a variety of items including exclusive Fort Dupont Ice Arena’s Kids On Ice gear.